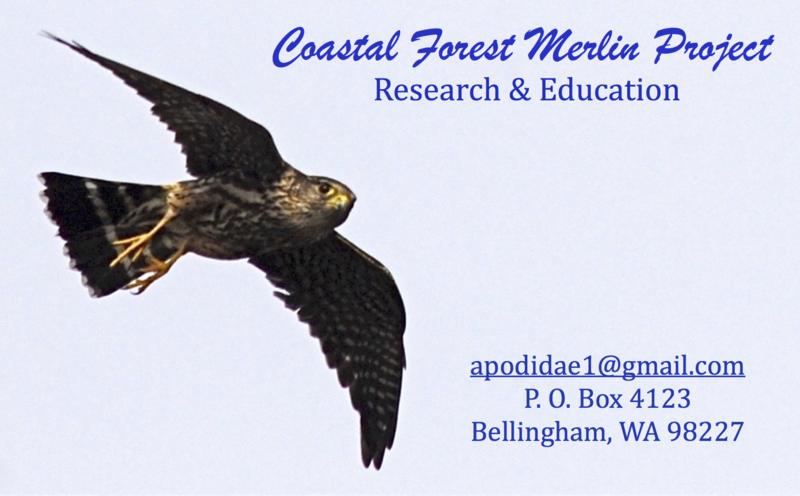 Coastal Forest Merlins begin their courtship activities in February-March. Males and females call and chase each other in elaborate and ritualized displays. Male Merlins show females nesting platforms and bring them food. Females also hunt but become increasingly sedentary, possibly to test the male’s ability to provide her with food. If she stays in the pair bond she’ll lay 3-5 eggs in late April-early May. Hatching is in late May-early June. Nestlings fledge in 4-5 weeks. Fledglings may remain around the breeding territory for another 4-5 weeks, learning to hunt.